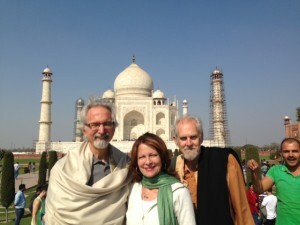 From January 24 to February 7, 2016 I had the pleasure to travel in India. 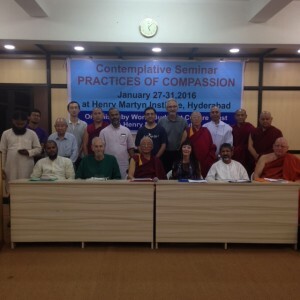 I first went to Hyderabad where I attended a conference entitled: Silence, Words and Practices of Compassion. 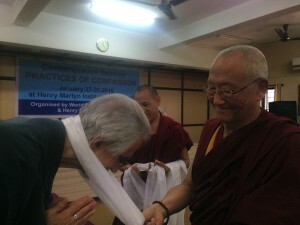 It was hosted by the Venerable Doboom Tulku, Rinpoche. He is an old friend from back in the 80’s when I was heading up a large inter-faith, ecumenical organization that held conferences all over the world. The conference was moderated by Dr. Darrol Bryant, Distinguished Professor of Religions, Renison University College, University of Waterloo, Canada. Darrol and I worked very closely together in the 80’s for seven years organizing many conferences. It was quite a full circle for me to re-connect with these two wonderful friends and individuals. 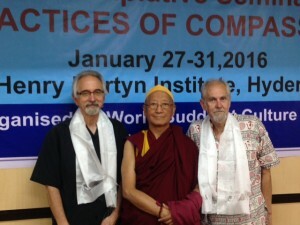 The conference lasted five days and was a feast of friendship and compassion. 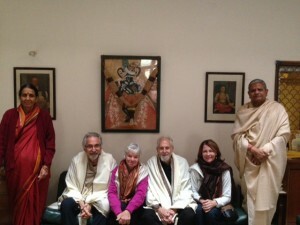 I had many very special and deep experiences with the individuals and their traditions. My wife, Jaime, joined me towards the end of my first week there. 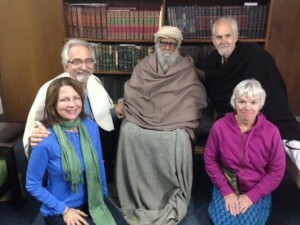 We then flew up to Delhi with Dr. Bryant and his wife, Susan, and were the guests of Dr. Syed A. Ali at Jamia Hamdard Muslim University . Dr. Ali is an old friend from the 80’s as well. 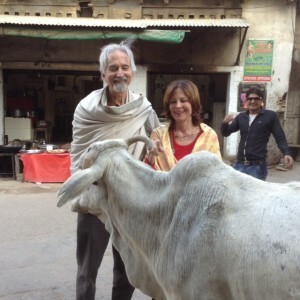 He is a brilliant scholar and one of the kindest and most loving people I have ever met. 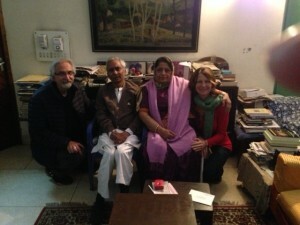 It was a joy to re-connect with him and his family. As well, near Delhi, we visited Goband Sadan, a living interfaith spiritual community of over 250 people founded by Baba Virsa Singh, a Sikh. The energy and love at this place was off the charts. 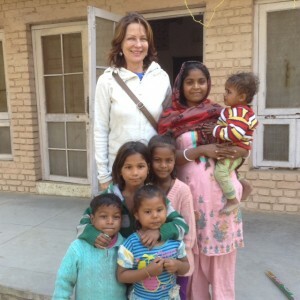 We were very graciously hosted by Mary Pat Fisher who currently heads up the community. 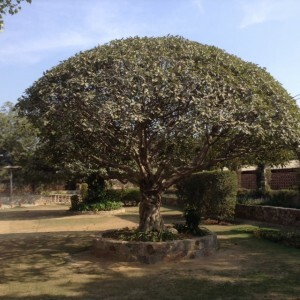 After that we visited Shrivatsa Goswami in Vrindavan at this ashram. 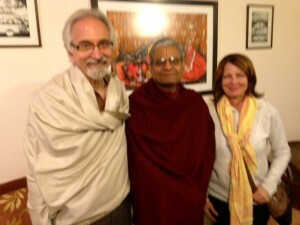 He is highly revered as a Hindu leader and a major figure in the international interfaith movement. He, too, is a friend from the 80’s. 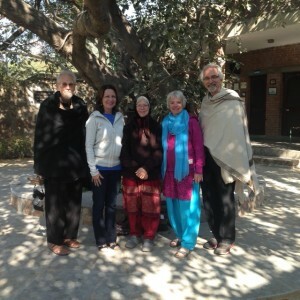 He warmly hosted us for three days and told us many, many beautiful tales of his beloved Krishna. Our time there was magical. 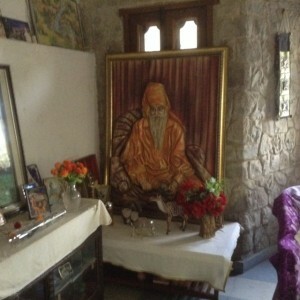 As well, we visited Maulana Wahiddudin Kahn in Delhi and had a 90 minute conversation with him. He is a renowned Muslim scholar and peace activist. Even though he is 92, he still travels extensively, lectures weekly, writes and is very wise and loving. It was a special honor to spend some time with him. There is a lot more to say, but I’ll save it for another time. Below is a sampling of the many pictures we took.